The current state of Eritrean Monasteries. In the name of the Holy Father, Holy Son and Holy Spirit, one God. Amen. 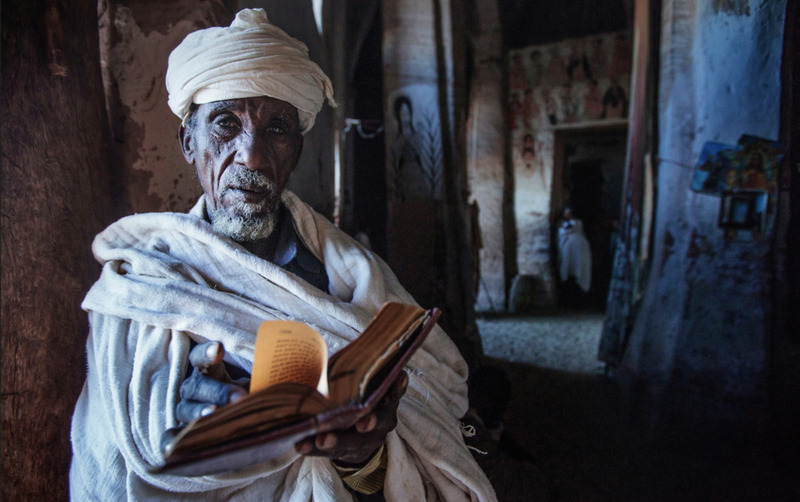 The number of Tewahdo Monasteries in Eritrean have been greatly reduced within recent years. This presents a tremendous risk and burden on our beloved Church as a whole. The holy Monasteries are like the Princeton and Harvard of our Faith. It is the Monasteries that give birth to Patriarchs and Bishops and it is the Bishops that appoint the Priests and Deacons and it is the Priests and Deacons who server the mass. As you can see the foundation of this beautiful faith called Tewahdo, that has been handed down to us from the very hands of the disciples and Holy men, is the Monasteries. Please support this mission in any way you can. May God Bless our meager efforts and make them to bear fruit. Praise be to God, Father, Son and Holy Spirit. Amen. The Eritrean Oriental Orthodox Tewahdo Diocese of North America and Canada is responsible for this campaign. For more information please visit the Diocese's website here. If you donated, great! However, what's even more valuable is spreading the word. Consider posting on your social media outlets and letting others know about this mission. If you feel that you can help support this mission. Consider becoming a partner. Partners contribute in unique ways such as contributing photography, donating large sums, sharing information etc. Please reach out to the Sunday School Diocese to become a partner of this mission.